Application is invites by WAPCOS Limited (A Government of India Under taking – Ministry of Water Resources). The WAPCOS invites application for filing up the vacant seat of Junior Assistant. Willing and Eligible candidates may apply for the said posts with a easy process before the last date. Eligibility criteria: Candidates who’s wish to apply for the Junior Assistant post having Graduate degree in Commerce from a recognized University with minimum of 65% passing marks and also having a good knowledge of Computer Application. Age Limit: Applicants should not be more than 27 years. Age relaxation for reserved category candidates will be as per Government rules. How to apply : Complete application in all respects and send it to the Chief (Pers. 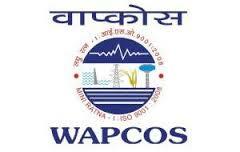 ), WAPCOS Limited, Plot No. 76-c, Sector-18, Gurgaon – 122015, Haryana on or before August 08th, 2013.